An upscale riff on a classic, the Modern Luxury Interactive Mojito Bar was massive hit at Canada’s biggest food & drink event of the year with over 46,000 attendees, 2,220 iPad activations, 1,657 interactive cocktails delivered and 43 luxury cruises SOLD on the spot. Its all about spending more time with the right people. 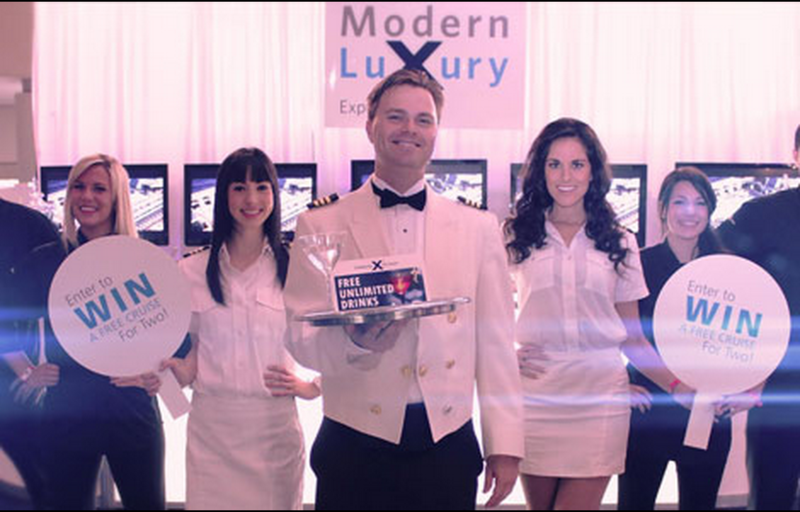 Brand ambassadors holding a “Free Drinks Ask Me” paddle sign would inspire people to enter an interactive contest to WIN a cruise for Two. By asking people the right questions, we would prompt people to take immediate action. The highly qualified leads would be personally introduced to the sales reps to learn more about the exclusive “onboard free drink with purchase” offer yielding greater sales results. This is another superb example of an experiential marketing campaign where you can obtain immediate sales results from your marketing investment.